Sharp curves ahead. 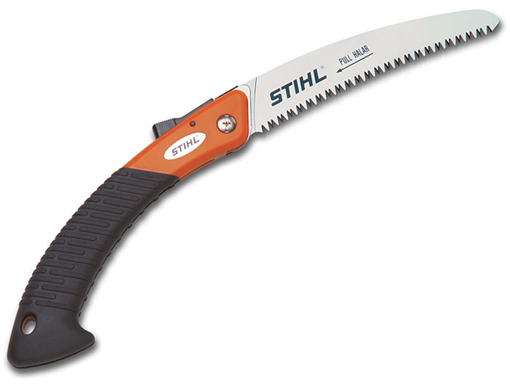 The PS 30 folding pocket saw from STIHL features a curved-blade design, delivering better contact with the limb. With each stroke, its chrome-plated steel blade works harder to cut through more wood, decreasing overall saw time. And its tapered ground blade improves precision and reduces pinching. Combined with its convenient, folding-blade design, this pruning saw is the perfect secret weapon against stubborn shrubbery.